I graduated from the Medical University in Białystok and always knew I wanted to go into dentistry. It was as early as in my secondary school when I decided to choose a Biology-Chemistry class. In 2012, I obtained my graduation diploma with the title of dental practitioner. After my graduation, I spent one year doing a postgraduate internship in Białystok, where I could broaden my knowledge gained at the university under the supervision of experienced specialists. 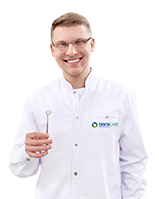 Having completed the internship, I landed a job in Denta Care in Ursynów, where I have already been working for 3 years. My work gives me a lot of satisfaction, a sense of professional fulfilment, which leads to the satisfaction of my patients, including the youngest of them. 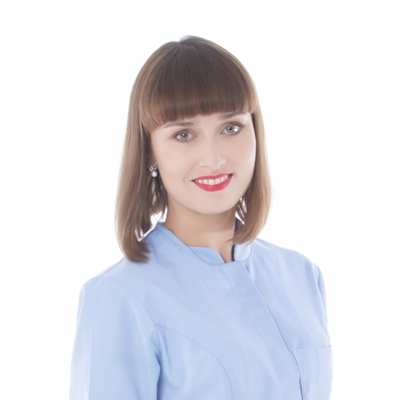 I deal with conservative dentistry, endodontics, whitening, simple dental surgeries and, above all, I expand my knowledge in the area of prosthodontics and aesthetic dentistry. Those are the field of medicine I would like to dedicate my future career to. I have also begun attending implant prosthodontics courses, which will help me perform restorative works on implants. I perform dental treatment under inhalation sedation in adults and children, who bring a lot of smile and joy into my daily work. As a consequence, I am very fond of working with them. At my leisure I like to cook or go to the cinema or theatre. I am interested in medical advancements and travelling, which helps me recharge my batteries so I can work and face new challenges. “How to reconstruct a single missing tooth – making an adhesion bridge using the direct and indirect methods using suspension-type polyaramid fibres”.